Once only a dream for dog lovers, technological advances in the sciences have now made testing for certain inherited diseases a mainstay of modern dog breeding. 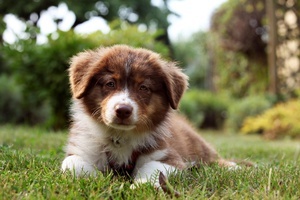 With knowledge of specific, disease-associated genetic mutations and an understanding of how these diseases are inherited, tests can be developed to identify dams and sires at risk of producing affected puppies. With this knowledge, informed decisions can be made in selecting mates which can safely be bred together. As the Associate Medical Director at Paw Print Genetics, I have heard many different strategies employed by our clients to get required or recommended health clearances performed on their dogs prior to breeding. Some choose to break up the testing over time to spread out the cost and many choose one type of health clearance to be performed first with other testing to be completed upon the results of the first round of testing. 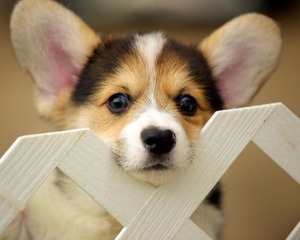 For a variety of reasons, I propose that performing genetic testing on breeding dogs prior to other health clearances is a practical option that may be in the best interest for many breeders. Intestinal cobalamin malabsorption, also known as Amnionless Deficiency, Cobalamin Deficiency, Imerslund-Grasbeck Syndrome (IGS), and Vitamin B12 Deficiency, is an inherited disease found in the Australian Shepherd and related breeds (Miniature Australian Shepherd, Toy Australian Shepherd, Miniature American Shepherd). The disease is inherited in a recessive fashion and as such, dogs that inherit two copies of the mutation are at risk for the disease. The disease is caused by the inability to make adequate amounts of a protein that plays a role in absorption of certain nutrients from the intestinal tract and kidneys, including the B vitamin, cobalamin. Affected dogs have increased levels of methylmalonic acid in their urine (a sign of cobalamin deficiency) after weaning, but symptoms of disease may not be recognized by owners for months or years. Symptoms of disease include anorexia, lethargy, poor weight gain, poor muscle mass, and in rare circumstances, a severe neurological dysfunction called hepatic encephalopathy that can lead to altered mental state, seizures, coma and death. 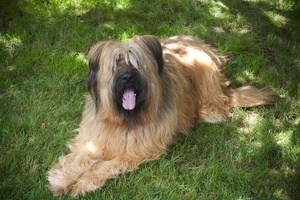 Affected dogs require treatment with cobalamin supplementation throughout their life. The leaves are falling and the pumpkins are reaching their proper jack ‘o lantern size. Soon children everywhere will be dining on a steady diet of Halloween candy while many of us adults relive our youth by taking full advantage of the one day every year we can pretend to be someone (or something) else. 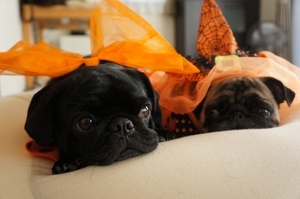 Though many dogs also enjoy all of the excitement that Halloween brings, this time of year can sometimes present additional hazards and stressors for our canine friends. Themed parties are a common source of fun around Halloween. Unfortunately for our opportunistic dogs, parties can also be a great chance for canine indulgence on potentially dangerous foods and drink. Tending to the needs of partygoers and the chaos associated with such a social gathering, often leads to greater difficulty keeping watch over the dogs of the house. In addition, it is not uncommon for party guests to innocently set down a plate of food or their glass of wine only to find out that it quickly disappeared down the gullet of a sly canine with a taste for human cuisine. If an intelligent, alien visitor happened to land on Earth, I can’t help but think they would be fascinated by the relationship between humans and dogs. Developed over thousands of years, our once important working relationship with dogs has given way to a deep friendship built more upon our common needs for social connection and acceptance than a hard day’s work. 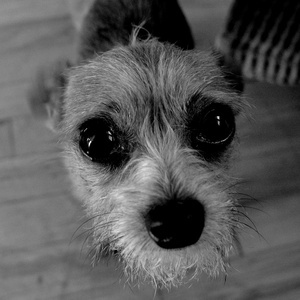 However, without an understanding of what it means to have a dog, one might think that humans were getting a raw deal. We spend our time and hard earned money feeding, entertaining, providing shelter and medical treatment, and otherwise spoiling our dogs with little expectation of a tangible payoff, other than love. But, as any dog owner can attest, it’s hard to put a value on the love from your favorite fur ball. Though there are mysteries in regards to the early origins of the French bulldog, it is probable that this spunky breed is a 19th century product of breeding early English bulldogs and miniature bulldogs with other small breeds. As these smaller, English bred bulldogs became popular, many were either exported to France from England or accompanied their English owners to France in search of employment. At some point in the mid to late 1800’s, the small bulldogs were given the name “Bouledogue Français” and were recognized as their own unique breed. Early French bulldogs with either “rose ears” (ears folded at the tip) or pricked “bat ears” were common. 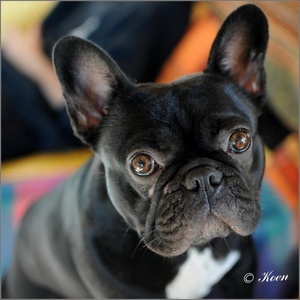 However, with the spread of the breed to the United States, American dog fanciers created the first French bulldog breed standard describing the “bat ear” trait seen in modern Frenchies as the “correct” ear type. In the process of establishing their modern appearance and perfecting the breed, like other purebred dogs, French bulldogs have developed some inherited diseases that concern Frenchie aficionados today. One such disease is a disorder known as hereditary cataracts (HC).